Comunidad Apostólica Hosanna (CAH) is a large evangelical Christian church in Panama City, Panama, that is unique for several reasons. 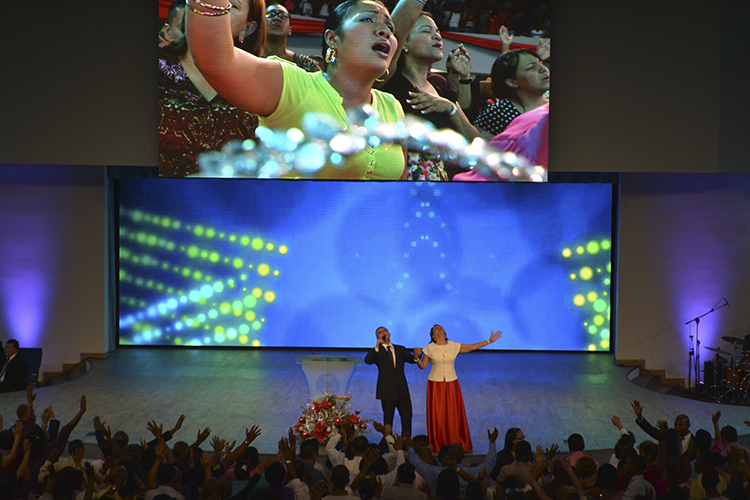 With Sunday services attracting well over 12,000 practitioners and operating its own TV division, CAH has grown to become one of Central America’s more influential mega-churches. Design and systems integration company Michael Garrison Associates (MGA) were called on to create a comprehensive conceptual design for the renovation of the church and chose Elation Professional lighting and video products to realize the project. CAH selected a comprehensive design for the renovation of the facility that included construction of a new, multi-level stage along with the design and integration of all new audio, video and lighting systems. 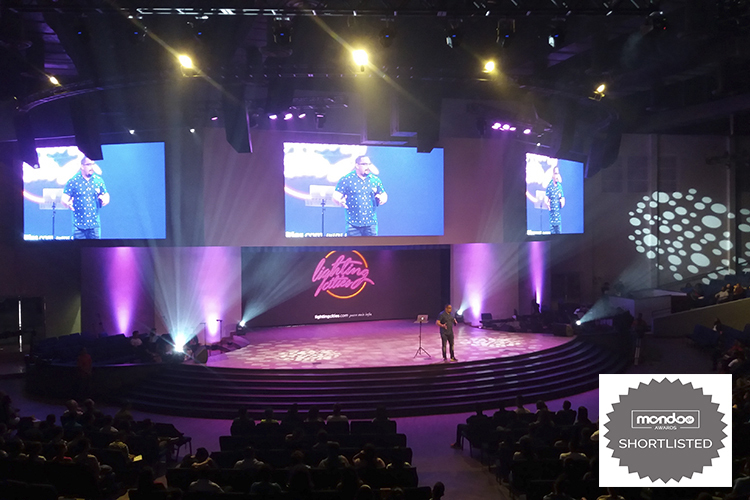 Such an extensive audiovisual renovation is fairly uncommon in Panama and CAH is one of the first venues of its kind in the country with this level of installation. Randy Garabedian, Senior AVL Consultant at MGA, designed and installed the new lighting system, which consists of Colour Pendant™ color-changing LED downlights, Opti Tri White™ variable white LED Par lights, SixPar Series™ LED Par color changers, and Platinum Spot III™ LED color and graphics moving heads. “The intention of the lighting installation was to upgrade to a new ‘production style’ of lighting,” he states. The lighting system was only part of the visual upgrade. 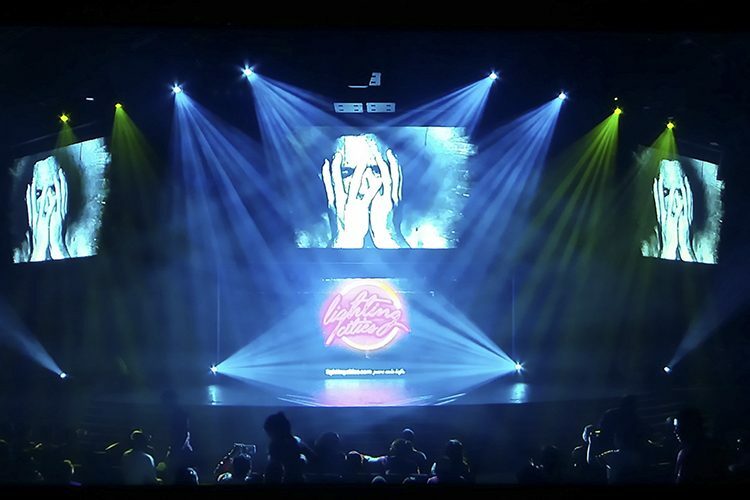 A new video system features four LED video screens made up of Elation EZ6™ LED video display panels and has changed the feel of the room completely.